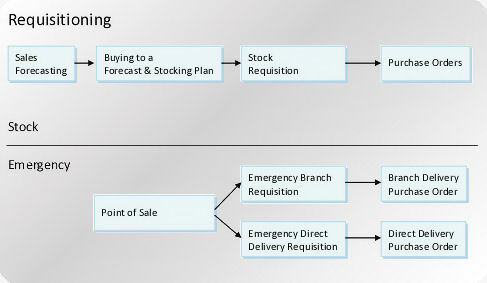 Planned stock levels are the bedrock of good customer service. It is no coincidence that the American term “stockist” refers to an organisation where something can be purchased for collection or immediate delivery. This can only take place where inventory is obtained in a planned and methodical manner, enabling you to deliver great service but also avoid tying up lots of cash in needless stock. But even with these in place, you will not have everything in stock, which you might need to supply. Sometimes you will need to buy one-off items on a Back-to-Back basis, so a smooth process for doing this is essential. Finally, we offer a very powerful technique called Purchase Requisitions, which can be used to underpin the entire purchasing procedure with a systematic approach.